Okay, I real­ize I’ve done a lot of Mar­vel Fam­i­ly-cen­tric posts here late­ly. I hon­est­ly intend­ed that I was going to move away from that this time. But I couldn’t help myself! My orig­i­nal plan here was to do a straight recreation/reinterpretation of the cov­er of Cap­tain Mar­vel #1, pub­lished by Mar­vel Comics in 1968 and fea­tur­ing their alien ver­sion of Cap­tain Mar­vel (Kree, to be spe­cif­ic). It was to have been kind of a lit­tle joke, that it would be a Cap­tain Mar­vel, but not the same Cap­tain Mar­vel I usu­al­ly draw. Plus, I’ve always kind of liked the Kree Cap­tain Marvel’s orig­i­nal green and white out­fit for some rea­son. That con­ver­sa­tion sud­den­ly came to mind as I looked at the orig­i­nal ver­sion of this cov­er, and real­ized that the pose of the Kree Cap­tain wouldn’t take much to rework it slight­ly and make it work just as well for the orig­i­nal Cap­tain Mar­vel. So I got hooked on the idea. This was the result. Please bear with me for a lit­tle fan­boy indul­gence here: who do I think would’ve been the like­ly can­di­dates to do this book, if Mar­vel had bought the rights back then? Everyone’s obvi­ous first thought would like­ly be Jack Kir­by. How­ev­er, at that point in time, Kirby’s con­tri­bu­tions to Mar­vel were mov­ing towards being most­ly just between the cov­ers of Fan­tas­tic Four and Thor. I believe it’s more like­ly that some­one from the sec­ond wave of Mar­vel cre­ators com­ing in at that time would’ve been giv­en this assign­ment. Art­wise, at the moment, I’m think­ing per­haps Bill Everett might’ve been the best choice. He had some of that Mar­vel ener­gy going for him, yet he also still had a cer­tain “car­toony-ness” to his work that I think Cap­tain Mar­vel needs. The writ­ing side of the equa­tion is a no-brain­er. I’m sure Roy Thomas would’ve argued a very strong case for his being the one to get this assign­ment. And I’m think­ing Stan Lee most like­ly would’ve giv­en in and hand­ed the book to him. 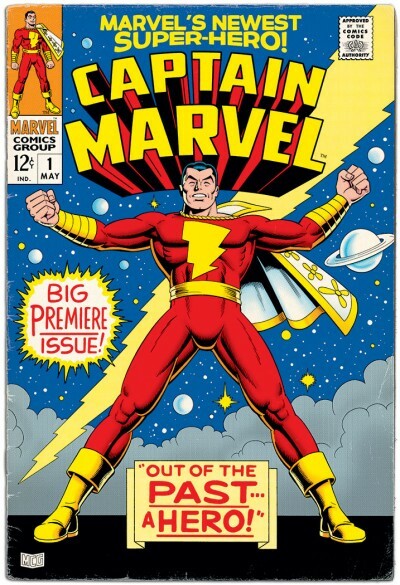 This entry was posted in Comics, Personal and tagged Captain Marvel, Comic Cover Recreation/Reinterpretation, Fake Comic Cover, FCA, Marvel Comics, Silver Age. Bookmark the permalink. 12 Responses to Captain Marvel is #1! Thanks, man! Glad you like it. I enjoyed your own most recent post quite a bit too! Out of the back issue bin.…..a hero! This was an icon­ic Gene Colan cov­er that I thought no one would cap­ture its energy.…..because real­is­ti­cal­ly its a very sim­ple cov­er. And yet, here it is! Not only is it the Big Red Cheese.…but its the Big Red Cheese tri­umphant!! I just wish I could pull this issue out and read it. You raise a real­ly good point that I’d nev­er con­sid­ered about Colan’s orig­i­nal cov­er. When you ana­lyze it and break it down into its com­po­nent ele­ments, it’s actu­al­ly a pret­ty straight­for­ward idea. Yet some­how, that orig­i­nal cov­er had a real impact that stuck with me from when I first saw it years ago. It’s a good exam­ple of the whole being greater than just the sum of its parts. Excel­lent job, Mark. Very well thought out, as usu­al, but strik­ing in its sim­plic­i­ty, as was the orig­i­nal cov­er (as you so apt­ly point out). Thanks, John! I’m glad you like my ver­sion from an alter­nate world. You’re wel­come, Mark. I imme­di­ate­ly made this cov­er my wall­pa­per du jour yes­ter­day (and it is still there today!). And as Lyle said, I wish I could pull this out and read it. It is hard to tell what it would have con­tained, giv­en that Roy Thomas, though a fan of the orig­i­nal, has often stat­ed that he felt that try­ing to work in the Faw­cett style was a mis­take com­mer­cial­ly. So it seems like­ly that he would have want­ed to update the char­ac­ter some­what. It also helps to remem­ber that, assum­ing that we’re fol­low­ing the orig­i­nal tim­ing here, this issue would have appeared before either vol­ume of Steranko’s His­to­ries, and I’m still con­vinced that it was his arti­cles on Faw­cett comics in Vol. 2 which guid­ed DC’s think­ing in terms of try­ing to recre­ate the Mar­vels in their orig­i­nal styles. So that’s two ele­ments which sug­gest (to me, at least) that this hypo­thet­i­cal ver­sion would not have been done in a very Faw­cett-y (?) style. It would have been good, no doubt — but dif­fer­ent from Faw­cett, and dif­fer­ent from what DC would do just a few years lat­er. I think Al Williamson would have been great on the cov­er, with Mur­phy Ander­son ink­ing. That might’ve been an inter­est­ing com­bo. I’m try­ing to imag­ine it.  But I guess I was think­ing more in terms of artists who were doing work for Mar­vel in the late ‘60s, right around the time they pub­lished their Cap­tain Mar­vel #1. I know Williamson lat­er did some work for Mar­vel. I can’t recall though whether Mur­phy Ander­son ever did. As far as I know, Mur­phy nev­er worked for Mar­vel. How­ev­er, he had been a fan of Cap­tain Mar­vel in his boy­hood, and after DC obtained the rights, report­ed­ly did sub­mit a draw­ing in hopes of get­ting the job. Mur­phy is a great artist, but it is hard to imag­ine his more semi-real­is­tic style on CM. On the oth­er hand, he might have been able to make it work. I recall hav­ing read that he had a hard time ink­ing Carmine Infantino’s pen­cils because of the anatom­i­cal exag­ger­a­tion and dis­tor­tion which Infan­ti­no used (to great effect, it should be not­ed). I keep hop­ing that one of these days his sub­mis­sion draw­ing will sur­face, but that seems unlike­ly, espe­cial­ly after near­ly 42 years! The only ref­er­ence I’ve been able to turn up thus far of Mr. Ander­son doing Mar­vel char­ac­ters would be his cov­er for Alter Ego #13, which was a rework­ing of the cov­er to Jus­tice League of Amer­i­ca #1, swap­ping out the JLA for mem­bers of the Avengers. It def­i­nite­ly would be inter­est­ing to see his Cap­tain Mar­vel try­out draw­ing! Per­haps, being such a fan, he might have tweaked his usu­al style into a more Beck-influ­enced direc­tion. That is entire­ly pos­si­ble, Mark. I’ve met Mur­phy before, but nev­er thought to ask him about Cap­tain Mar­vel.